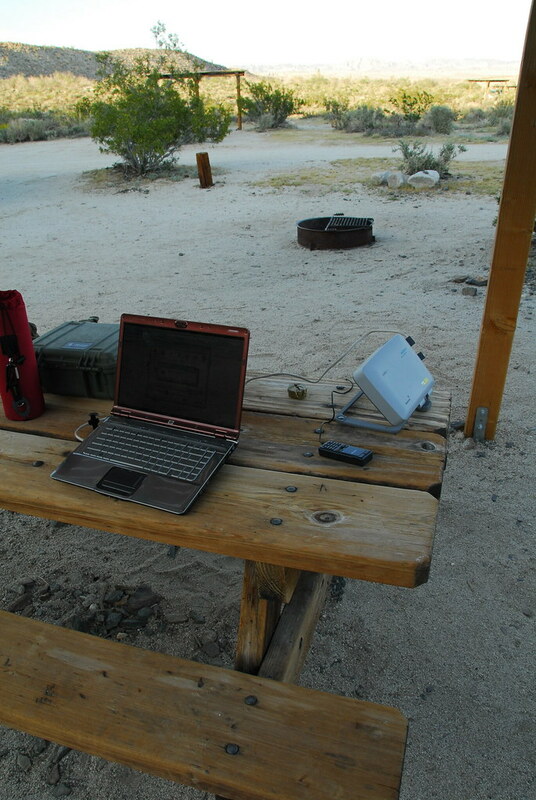 Around a year and a half ago I went on a trip to Death Valley and decided to rent a portable satellite Internet device to use to get some work done at the end of each day. Normally I’d need about an hour to get the most important things done. Owning a small business it’s impossible to go away anytime M-F without checking on what is happening with work. It would be nice to be able to take a real vacation, leave town, turn off cell phones, but at this time it’s impossible for me. I’ve not had a vacation like this for more than six years. If I plan ahead I can get most of the critical items done in less than an hour or so each day. 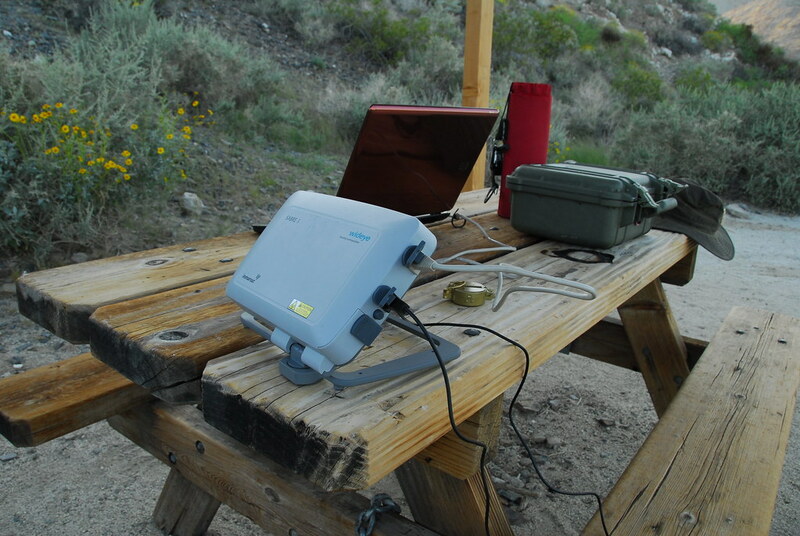 A portable satellite Internet device allows me to extend my time away from "civilization" where otherwise I would be restricted to week-end only travel. The equipment and megabyte usage is not cheap. I really had to cost justify the expense (to myself). In the end, this has allowed a freedom to roam that I thought would never be possible. I calculated that it would be less expensive to purchase vs. rent the equipment if I used it at least three times per year. Before setting out on an adventure I need to prepare my laptop to use as few megabytes as possible. Remember, bandwidth is expensive for this type of service is expensive. In Windows, I disable all updates. Ant-Virus updates, Windows updates, software updates, and all other updates must be disabled before the trip to keep Internet usage to a minimum. I also disable web browser (Firefox, IE, etc.) graphics to reduce traffic on the satellite. In Windows Outlook, I disable all mail accounts except for business. I also disable attachments. When using the system on a trip, I keep usage to business only. Since other web "surfing" wastes precious bandwidth usage and keeps me away from my main goal of enjoying my trip. 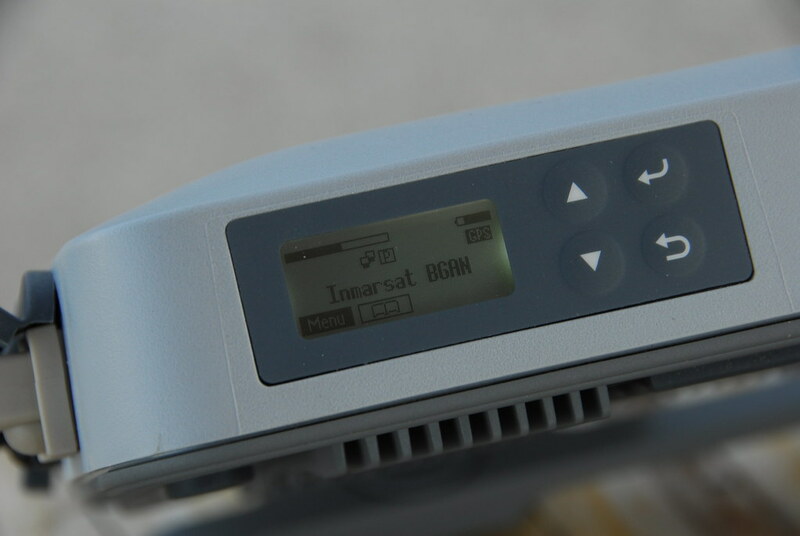 The service uses Inmarsat BGAN satellites. They have three geosynchronous satellites that provide nearly global coverage. The system is quite easy to use. Some software needs to be installed on the laptop to aid in connection to the satellite and to track megabyte usage. This software also includes SMS text messaging capability. Between the satellite unit is an Ethernet cable. If you are in the market for one of these. I recommend only those units with Ethernet connections. Here in Southern California, you use these approximate instructions to aim: 45 degrees elevation and 149 degrees South / South East. You can see from the photos that it also includes telephone service. You can make or receive phone calls while simultaneously using internet from a computer. Last October while on a week long trip on the Arizona Strip, north of the Grand Canyon, I used this system from inside my tent each night. Great service and support from them. Traveling and Internetis always a problem. I recently was in Orlando. I stayed at the new Hilton Hotel. The Internet service was $14.95 per day. I also stayed at the Best Western and they offer free WIFI. I usually use a Verizon phone card but it is limited to cell phone coverage. I decided to do some surfing. Below are (2) info links. They even offer rentals for portable satelite Internet. Perhaps this fits a Mexico portable life style.